Every year at about this time, a crazy phenomenon occurs…Monopoly at McDonald’s! I get sucked in! It is VERY unlikely that I will win ANYTHING! And, yet, I go in and buy more McDonald’s food than anyone should, with the hope that I’ll win that $1,000,000! In fact, just today I bought the Big Mac meal…large size, so I could get the Monopoly pieces on the fries, too! One of the pieces I got was Park Place! All I need is Boardwalk, and I’ve got $1,000,000 coming my way! I’m SURE I’ll get it “next time” I’m there! I’m sure of it! So, this got me thinking…surely I’m not the only sucker for McDonald’s Monopoly game. Otherwise, they would have stopped the promotion year ago. So, I think, “What is it that drives me to this place for decent food, that’s not really good for me, to spend my money with the hopes of winning a million dollars? ?” And, that’s when it hits me! It’s the dream…the hope…the wish…the once in a lifetime opportunity. What would I do with a million bucks? Who knows! But, man wouldn’t that be cool? And, what McDonald’s has done so well is taking the simple concept of what used to be played with tear-off pieces and a brochure-sized game board, and integrating it with the web. So, now they make it so you feel like you have twice the opportunity to win. All the game pieces you get at the store have a code that can be entered at www.PlayatMcD.com for a chance to “roll” the dice for a turn on the virtual game board of Monopoly. Outstanding! 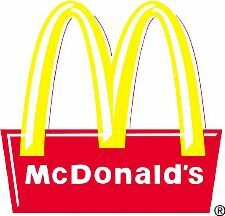 Or course, McDonald’s has partnered with FootLocker, Shell gas stations and Coke to offer instant prizes, as well. Once again, making you feel like you just can’t lose! The PlayatMcD.com web site does a great job of getting you to register, so they gather all your relevant information (I assume they will use that for market data, as well as sending me something at some point). One thing that’s lacking is web video. There is some sound included on the site, but wouldn’t it be more powerful to actually watch a video of last year’s $100,000 winner telling his story of a pessimistic attitude, how he never thought he’d win, but he kept trying, and after 3 or 4 visits he got that winning piece? Video is such a powerful medium and can say so much with very little. We have been able to integrate video into web sites and have seen some great results. I just think McDonald’s missed out on a huge opportunity to take a great concept one step further. In the end, they got me! Video or not, I’m hooked. I can tell you what meal and what size to get to ensure you get the best chances/most pieces! Sad! But, if I can just get that one other piece…Boardwalk! I’ll be a millionnaire! Whew! I’m hungry…anyone for McDonald’s? ?